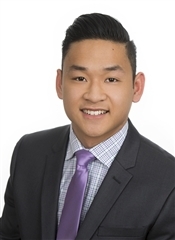 Paul Nguyen is an ambitious and hard working individual that is always striving to learn more. Prior to becoming a REALTOR, Paul graduated the Nova Scotia Community College with a diploma in Marketing. Paul is affluent in modern concepts of marketing including web based platforms and social media. Paul's mission is to uphold the highest level of service, provide up to date and accurate information while maintaining professionalism.